Earlier this week, the Ninth Circuit Court of Appeals issued the latest—and likely final—ruling in Marei von Saher’s decades-long attempt to recover artwork looted by the Nazis from her late father-in-law. California’s Norton Simon Museum of Art bought the artwork, a pair of oil paintings by Lucas Cranach the Elder, in 1971, and von Saher first challenged the museum’s rights to the Cranachs more than ten years ago. In ruling against von Saher, the Ninth Circuit has ensured that the Cranachs will remain in the museum, and accessible to the public, for the foreseeable future. This ruling will have significant implications for heirs of those who originally owned Nazi-looted artworks, especially where such heirs have already tried and failed to recover artwork through the official restitution channels instituted by European governments in the post-war years. 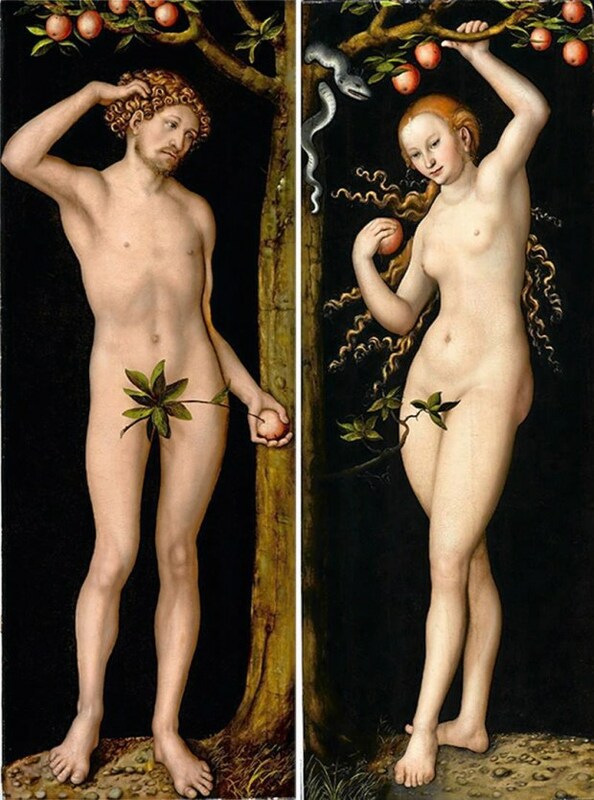 The Cranachs at issue are a diptych depicting Adam and Eve, and were painted around 1530. Roughly 400 years later, in 1931, von Saher’s father-in-law, Dutch-Jewish art merchant Jacques Goudstikker, purchased the Cranachs from the Soviet Union at a Berlin auction. When the Nazis invaded the Netherlands in May 1940, Goudstikker fled to South America with his family, abandoning his dealership and its more than 1,200 artworks. He tragically died on the boat trip, and none other than Nazi Reichsmarschall Hermann Göring appropriated the Cranachs through a series of forced sales while another Nazi official seized Goudstikker’s business and the family’s villa and castle, among other assets. What happened in the immediate post-war years was crucial to the Ninth Circuit’s rejection of von Saher’s attempt to recover the works. In the aftermath of the war, the Dutch government instituted a system of restitution and reparations for its citizens who had had their assets wrongfully seized by the Nazis, and it set a 1951 deadline for the filing of claims by such victims. By then, the Dutch government had taken possession of the Cranachs, and although Goudstikker’s widow and his firm had the option of pursuing restitution of the Cranachs through the formal channels established by the Dutch government, they chose not to do so before the 1951 deadline. Rather, both she and the Goudstikker firm followed the advice of their counsel that formally petitioning the Dutch government for the Cranachs would constitute a poor business decision that would lead to “a considerable reduction in the [business’s] liquid assets.” Moreover, in 1949, Goudstikker’s counsel expressly waived the firm’s right “to file for restoration of rights regarding goods acquired by Goering,” including the Cranachs. Then, in the 1960s, someone else opted to make use of the Dutch government’s official restitution channels. George Stroganoff-Scherbatoff was a Russian aristocrat who argued that the original 1931 auction (at which Jacques had bought the Cranachs from the Soviet Union) had been invalid, because the works sold there—the Cranach diptych among them—had been unlawfully seized by the Soviets and rightfully belonged to the Stroganoff family. In 1966, without notice to the Goudstikker family, the Dutch government struck a deal with Stroganoff wherein Stroganoff agreed to “buy back” the Cranachs from the Dutch government. In 1971, he in turn sold the paintings, and they ultimately landed in the Norton Simon collection, where they have remained since. Von Saher commenced her efforts to reclaim the Cranachs more than twenty years ago. She petitioned the Dutch government to recover the works twice, first in the 1990s and again after the Netherlands liberalized its restitution process in 2001. On both occasions, however, the Dutch government rejected von Saher’s petitions in light of the Goudstikker firm’s “conscious and well considered decision” to decline to petition the Dutch government for the Cranachs before the 1951 deadline. Accordingly, von Saher filed a federal lawsuit in California in 2007 to recover the works from the museum, which ultimately led to the Ninth Circuit’s ruling earlier this week. In 2014, after years of protracted litigation, the Ninth Circuit allowed von Saher’s claims against the museum to proceed; our previous blog post on that decision can be found here, but in short, two of the three appellate judges ruled that Von Saher’s claims did not conflict with a federal policy of respecting other nations’ internal restitution proceedings (such as the post-war Dutch government’s), because the Cranachs had never actually been subject to such proceedings. This ruling issued despite a dissent by third judge on the appellate panel, who argued that “World War II property claims may not be litigated in U.S. courts if the property was subject or potentially subject to an adequate internal restitution process in its country of origin.” The case was remanded back to the district court. In 2016, the district court granted summary judgment to the museum. Our previous post on that decision can be found here, and the district court’s overarching conclusion was that the Dutch state had had good title to Adam and Eve when it transferred them to Stroganoff, and that good title ultimately passed to the Norton Simon. The district court did not examine whether the works had indeed been stolen from the Stroganoff family by the Soviets; rather, the court ruled that, under the applicable post-war Dutch decrees, the Göring transaction would remain “effective” unless nullified through formal proceedings. And because Desi Goudstikker and her post-war advisers never took the necessary steps to nullify it, the Göring transaction remained effective until, under another Dutch decree in 1955, enemy property located in the Dutch State became property of the Netherlands as reparations. Thus, valid title to the Cranachs passed from Göring—an undisputed “enemy”—to the Dutch government, who then passed good title to Stroganoff and his successor, the Norton Simon. This week, the Ninth Circuit affirmed the district court’s decision, thus ensuring that the Cranachs will remain in the museum. The Ninth Circuit grounded its ruling in the “act of state” doctrine, which requires United States courts to deem valid “acts of foreign sovereigns taken within their own jurisdictions.” In other words, so long as the Dutch government’s decisions denying von Saher’s attempts to reclaim the Cranachs constituted acts of the Dutch government taken within its own jurisdiction, the Ninth Circuit had no choice but to ratify those acts. And that it precisely what it did. The full opinion is available here. First, the court validated the Dutch government’s conveyance of the Cranachs to Stroganoff because it was “not a one-off commercial sale, but . . . the product of the Dutch government’s sovereign internal restitution process.” Second, the court ratified the Dutch Court of Appeals’ 1999 decision denying von Saher’s first attempt to reclaim the Cranachs, finding this decision to constitute yet another “act of state.” And the court found the Dutch government’s 2004 decision denying von Saher’s second attempt to reclaim the works to constitute a third “act of state.” The court also ruled that none of the recognized exceptions to the act-of-state doctrine applied here, and further emphasized the policies behind the doctrine. Specifically, “international comity, respect for the sovereignty of foreign nations in their own territory, and the avoidance of embarrassment to the Executive Branch [of the United States government] in its conduct of foreign relations” all supported the application of the act-of-state doctrine. The result is obviously an unfortunate one for von Saher, whose lawyer says she is weighing her options; her long legal battle, however, is now over unless von Saher successfully mounts an appeal to the United States Supreme Court—an unlikely outcome. The case demonstrates that litigation involving Nazi-era art transactions can literally take decades to resolve; indeed, Judge Wardlaw—the original dissenter in the Ninth Circuit’s 2014 decision—filed a short concurrence with this week’s opinion, voicing her view that the case should never have been litigated to the summary judgment phase, and should have been decided based on the act-of-state doctrine years ago. The Ninth Circuit recognized that, “[w]ithout question, the Nazi plunder of artwork was a moral atrocity that compels an appropriate governmental response.” Nevertheless, because the sovereign Dutch government had already effectively determined von Saher’s rights on more than one occasion, the court declined to rule in her favor here. This case suggests that, when it comes to Nazi-era art cases, the previous restitution processes that were in place in various European countries during the post-war years can raise particularly thorny issues, and that the act-of-state doctrine may serve as a significant hurdle for those who are similarly situated to von Saher. We will continue to monitor cases like this, but this week’s decision likely represents the end of this particular battle.